Artificial intelligence (AI) is intelligence exhibited by machines. In computer science, an ideal "intelligent" machine is a flexible rational agent that perceives its environment and takes actions that maximize its chance of success at some goal. Colloquially, the term "artificial intelligence" is applied when a machine mimics "cognitive" functions that humans associate with other human minds, such as "learning" and "problem solving". As machines become increasingly capable, facilities once thought to require intelligence are removed from the definition. For example, optical character recognition is no longer perceived as an exemplar of "artificial intelligence" having become a routine technology. Capabilities still classified as AI include advanced Chess and Go systems and self-driving cars. AI research is divided into subfields that focus on specific methods or on specific goals or on the use of a particular system or towards satisfying particular levels of functionality. The central problems (or goals) of AI research include reasoning, knowledge, planning, learning, natural language processing (communication), perception and the ability to move and manipulate objects. General intelligence is among the field's long-term goals. Approaches include,, soft computing (e.g. machine learning), and. Many tools are used in AI, including versions of, ,. The AI field draws upon computer science, mathematics, psychology, linguistics, philosophy, neuroscience and artificial psychology. The field was founded on the claim that human intelligence "can be so precisely described that a machine can be made to simulate it." This raises philosophical arguments about the nature of the mind and the ethics of creating artificial beings endowed with human-like intelligence, issues which have been explored by myth, fiction and philosophy since antiquity. 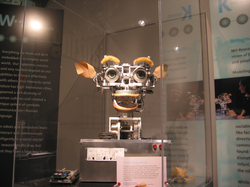 Attempts to create artificial intelligence has experienced many setbacks, including the ALPAC report of 1966, the abandonment of perceptrons in 1970, the Lighthill Report of 1973 and the collapse of the Lisp machine market in 1987. In the twenty-first century AI techniques became an essential part of the technology industry, helping to solve many challenging problems in computer science. The general problem of simulating (or creating) intelligence has been broken down into sub-problems. These consist of particular traits or capabilities that researchers expect an intelligent system to display. The traits described below have received the most attention. For difficult problems, algorithms can require enormous computational resources—most experience a " combinatorial explosion ": the amount of memory or computer time required becomes astronomical for problems of a certain size. The search for more efficient problem-solving algorithms is a high priority. Human beings ordinarily use fast, intuitive judgments rather than step-by-step deduction that early AI research was able to model. AI has progressed using "sub-symbolic" problem solving: embodied agent approaches emphasize the importance of sensorimotor skills to higher reasoning; neural net research attempts to simulate the structures inside the brain that give rise to this skill; mimic the human ability to guess. Knowledge representation and knowledge engineering are central to AI research. Many of the problems machines are expected to solve will require extensive knowledge about the world. Among the things that AI needs to represent are: objects, properties, categories and relations between objects; situations, events, states and time; causes and effects; knowledge about knowledge (what we know about what other people know);  and many other, less well researched domains. A representation of "what exists" is an ontology: the set of objects, relations, concepts and so on that the machine knows about. The most general are called upper ontologies, which attempt to provide a foundation for all other knowledge. Many of the things people know take the form of "working assumptions." For example, if a bird comes up in conversation, people typically picture an animal that is fist sized, sings, and flies. None of these things are true about all birds. John McCarthy identified this problem in 1969 as the qualification problem: for any commonsense rule that AI researchers care to represent, there tend to be a huge number of exceptions. Almost nothing is simply true or false in the way that abstract logic requires. AI research has explored a number of solutions to this problem. The number of atomic facts that the average person knows is astronomical. Research projects that attempt to build a complete knowledge base of commonsense knowledge (e.g., Cyc) require enormous amounts of laborious ontological engineering —they must be built, by hand, one complicated concept at a time. 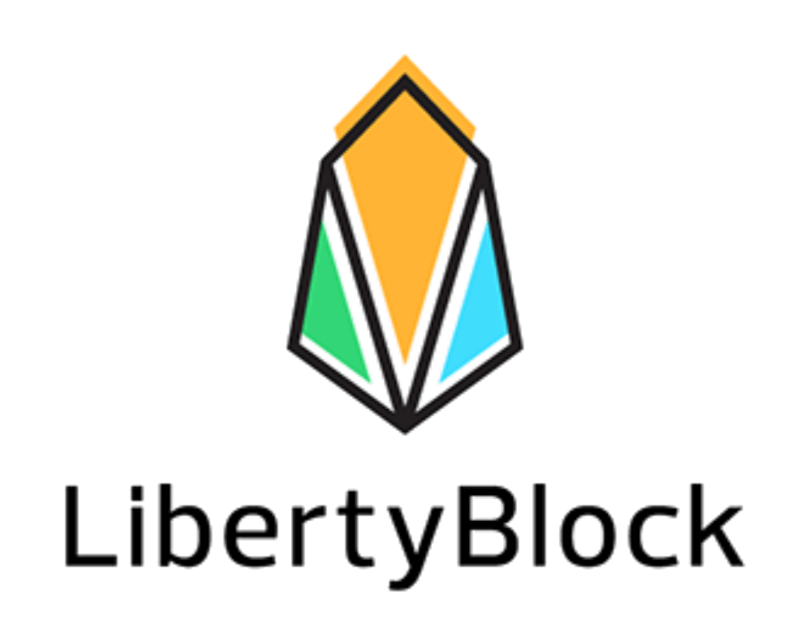 A major goal is to have the computer understand enough concepts to be able to learn by reading from sources like the Internet, and thus be able to add to its own ontology. Much of what people know is not represented as "facts" or "statements" that they could express verbally. For example, a chess master will avoid a particular chess position because it "feels too exposed" or an art critic can take one look at a statue and instantly realize that it is a fake. These are intuitions or tendencies that are represented in the brain non-consciously and sub-symbolically. Knowledge like this informs, supports and provides a context for symbolic, conscious knowledge. As with the related problem of sub-symbolic reasoning, it is hoped that situated AI, computational intelligence, or will provide ways to represent this kind of knowledge. Intelligent agents must be able to set goals and achieve them. This means, they need a way to visualize the future (they must have a representation of the state of the world and be able to make predictions about how their actions will change it) and be able to make choices that maximize the utility (or "value") of the available choices. In classical planning problems, the agent can assume that it is the only thing acting on the world and it can be certain what the consequences of its actions may be. However, if the agent is not the only actor, it must periodically ascertain whether the world matches its predictions and it must change its plan as this becomes necessary, requiring the agent to reason under uncertainty. This is also the case because, as demonstrated by complexity theory and by the uncertainty principle of quantum mechanics, there is no way to predict the consequences of actions after a certain amount of time has elapsed. Natural language processing gives machines the ability to read and understand the languages that humans speak. 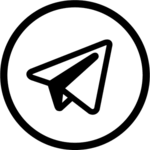 A sufficiently powerful natural language processing system would enable natural language user interfaces and the acquisition of knowledge directly from human-written sources, such as newswire texts. 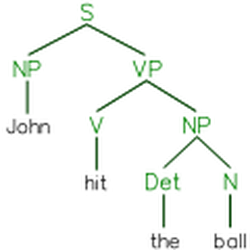 Some straightforward applications of natural language processing include information retrieval, text mining, question answering  and machine translation. Among the long-term goals in the research pertaining to artificial intelligence are: (1) Social intelligence, (2) Creativity, and (3) General intelligence. Many researchers think that their work will eventually be incorporated into a machine with general intelligence (known as strong AI), combining all the skills above and exceeding human abilities at most or all of them. 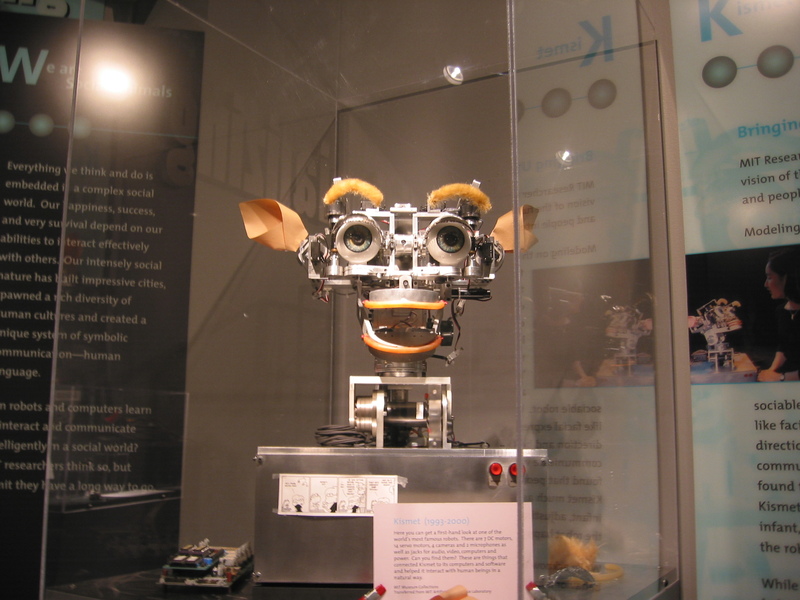 A few believe that anthropomorphic features like artificial consciousness or an artificial brain may be required for such a project. Many of the problems above may require general intelligence to be considered solved. For example, even a straightforward, specific task like machine translation requires that the machine read and write in both languages (), follow the author's argument (), know what is being talked about (), and faithfully reproduce the author's intention (). A problem like machine translation is considered " AI-complete ". In order to solve this particular problem, one must solve all the problems. There is no established unifying theory or paradigm that guides AI research. Researchers disagree about many issues. A few of the most long standing questions that have remained unanswered are these: should artificial intelligence simulate natural intelligence by studying psychology or neurology ? Or is human biology as irrelevant to AI research as bird biology is to aeronautical engineering ? Can intelligent behavior be described using simple, elegant principles (such as logic or optimization)? Or does it necessarily require solving a large number of completely unrelated problems? Can intelligence be reproduced using high-level symbols, similar to words and ideas? Or does it require "sub-symbolic" processing? John Haugeland, who coined the term GOFAI (Good Old-Fashioned Artificial Intelligence), also proposed that AI should more properly be referred to as synthetic intelligence, a term which has since been adopted by some non-GOFAI researchers. When access to digital computers became possible in the middle 1950s, AI research began to explore the possibility that human intelligence could be reduced to symbol manipulation. The research was centered in three institutions: Carnegie Mellon University, Stanford and MIT, and each one developed its own style of research. John Haugeland named these approaches to AI "good old fashioned AI" or " GOFAI ". During the 1960s, symbolic approaches had achieved great success at simulating high-level thinking in small demonstration programs. Approaches based on cybernetics or neural networks were abandoned or pushed into the background. Researchers in the 1960s and the 1970s were convinced that symbolic approaches would eventually succeed in creating a machine with artificial general intelligence and considered this the goal of their field. Unlike Newell and Simon, John McCarthy felt that machines did not need to simulate human thought, but should instead try to find the essence of abstract reasoning and problem solving, regardless of whether people used the same algorithms. His laboratory at Stanford (SAIL) focused on using formal logic to solve a wide variety of problems, including knowledge representation, planning and learning. Logic was also the focus of the work at the University of Edinburgh and elsewhere in Europe which led to the development of the programming language Prolog and the science of logic programming. Researchers at MIT (such as Marvin Minsky and Seymour Papert) found that solving difficult problems in vision and natural language processing required ad-hoc solutions – they argued that there was no simple and general principle (like logic) that would capture all the aspects of intelligent behavior. Roger Schank described their "anti-logic" approaches as " scruffy " (as opposed to the " neat " paradigms at CMU and Stanford). 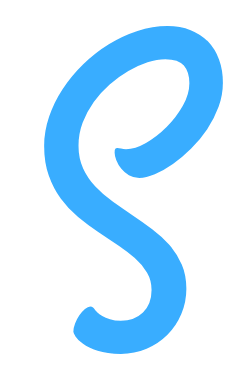 Commonsense knowledge bases (such as Doug Lenat's Cyc) are an example of "scruffy" AI, since they must be built by hand, one complicated concept at a time. In the 1990s, AI researchers developed sophisticated mathematical tools to solve specific subproblems. These tools are truly scientific, in the sense that their results are both measurable and verifiable, and they have been responsible for many of AI's recent successes. The shared mathematical language has also permitted a high level of collaboration with more established fields (like mathematics, economics or operations research). Stuart Russell and Peter Norvig describe this movement as nothing less than a "revolution" and "the victory of the neats." Critics argue that these techniques (with few exceptions) are too focused on particular problems and have failed to address the long-term goal of general intelligence. There is an ongoing debate about the relevance and validity of statistical approaches in AI, exemplified in part by exchanges between Peter Norvig and Noam Chomsky. Many problems in AI can be solved in theory by intelligently searching through many possible solutions: can be reduced to performing a search. For example, logical proof can be viewed as searching for a path that leads from premises to conclusions, where each step is the application of an inference rule. Planning algorithms search through trees of goals and subgoals, attempting to find a path to a target goal, a process called means-ends analysis. Robotics algorithms for moving limbs and grasping objects use local searches in configuration space. Many learning algorithms use search algorithms based on optimization. Simple exhaustive searches are rarely sufficient for most real world problems: the search space (the number of places to search) quickly grows to astronomical numbers. The result is a search that is too slow or never completes. The solution, for many problems, is to use " heuristics " or "rules of thumb" that eliminate choices that are unlikely to lead to the goal (called " pruning the search tree "). Heuristics supply the program with a "best guess" for the path on which the solution lies. Heuristics limit the search for solutions into a smaller sample size. A key concept from the science of economics is " utility ": a measure of how valuable something is to an intelligent agent. Precise mathematical tools have been developed that analyze how an agent can make choices and plan, using decision theory, decision analysis, and information value theory. These tools include models such as Markov decision processes, dynamic decision networks, game theory and mechanism design. A classifier can be trained in various ways; there are many statistical and machine learning approaches. The most widely used classifiers are the neural network, kernel methods such as the support vector machine, k-nearest neighbor algorithm, Gaussian mixture model, naive Bayes classifier, and decision tree. The performance of these classifiers have been compared over a wide range of tasks. Classifier performance depends greatly on the characteristics of the data to be classified. There is no single classifier that works best on all given problems; this is also referred to as the " no free lunch " theorem. Determining a suitable classifier for a given problem is still more an art than science. The study of non-learning artificial neural networks began in the decade before the field of AI research was founded, in the work of Walter Pitts and Warren McCullough. Frank Rosenblatt invented the perceptron, a learning network with a single layer, similar to the old concept of linear regression. Early pioneers also include Alexey Grigorevich Ivakhnenko, Teuvo Kohonen, Stephen Grossberg, Kunihiko Fukushima, Christoph von der Malsburg, David Willshaw, Shun-Ichi Amari, Bernard Widrow, John Hopfield, and others. 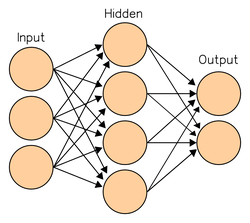 Early on, deep learning was also applied to sequence learning with recurrent neural networks (RNNs) which are general computers and can run arbitrary programs to process arbitrary sequences of inputs. The depth of an RNN is unlimited and depends on the length of its input sequence. RNNs can be trained by gradient descent but suffer from the vanishing gradient problem. In 1992, it was shown that unsupervised pre-training of a stack of recurrent neural networks can speed up subsequent supervised learning of deep sequential problems. Numerous researchers now use variants of a deep learning recurrent NN called the Long short term memory (LSTM) network published by Hochreiter & Schmidhuber in 1997. LSTM is often trained by Connectionist Temporal Classification (CTC). At Google, Microsoft and Baidu this approach has revolutionised speech recognition. For example, in 2015, Google's speech recognition experienced a dramatic performance jump of 49% through CTC-trained LSTM, which is now available through Google Voice to billions of smartphone users. Google also used LSTM to improve machine translation,  Language Modeling  and Multilingual Language Processing. LSTM combined with CNNs also improved automatic image captioning  and a plethora of other applications. A derivative of the Turing test is the Completely Automated Public Turing test to tell Computers and Humans Apart (CAPTCHA). 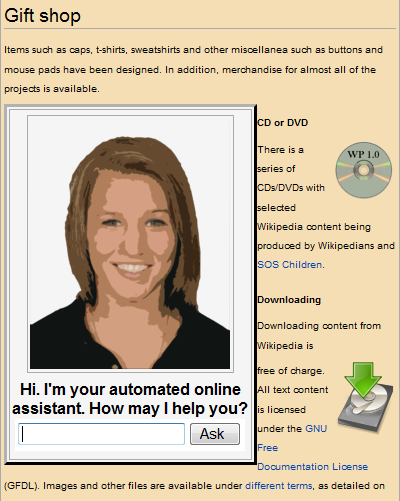 As the name implies, this helps to determine that a user is an actual person and not a computer posing as a human. In contrast to the standard Turing test, CAPTCHA administered by a machine and targeted to a human as opposed to being administered by a human and targeted to a machine. A computer asks a user to complete a simple test then generates a grade for that test. Computers are unable to solve the problem, so correct solutions are deemed to be the result of a person taking the test. A common type of CAPTCHA is the test that requires the typing of distorted letters, numbers or symbols that appear in an image undecipherable by a computer. A platform (or " computing platform ") is defined as "some sort of hardware architecture or software framework (including application frameworks), that allows software to run." As Rodney Brooks pointed out many years ago, it is not just the artificial intelligence software that defines the AI features of the platform, but rather the actual platform itself that affects the AI that results, i.e., there needs to be work in AI problems on real-world platforms rather than in isolation. A wide variety of platforms has allowed different aspects of AI to develop, ranging from expert systems such as Cyc to deep-learning frameworks to robot platforms such as the Roomba with open interface. Recent advances in deep artificial neural networks and distributed computing have led to a proliferation of software libraries, including Deeplearning4j, TensorFlow, Theano and Torch. As a minimum, an AI system must be able to reproduce aspects of human intelligence. This raises the issue of how ethically the machine should behave towards both humans and other AI agents. This issue was addressed by Wendell Wallach in his book titled Moral Machines in which he introduced the concept of artificial moral agents (AMA). For Wallach, AMAs have become a part of the research landscape of artificial intelligence as guided by its two central questions which he identifies as "Does Humanity Want Computers Making Moral Decisions" and "Can (Ro)bots Really Be Moral". For Wallach the question is not centered on the issue of whether machines can demonstrate the equivalent of moral behavior in contrast to the constraints which society may place on the development of AMAs. The field of machine ethics is concerned with giving machines ethical principles, or a procedure for discovering a way to resolve the ethical dilemmas they might encounter, enabling them to function in an ethically responsible manner through their own ethical decision making. The field was delineated in the AAAI Fall 2005 Symposium on Machine Ethics: "Past research concerning the relationship between technology and ethics has largely focused on responsible and irresponsible use of technology by human beings, with a few people being interested in how human beings ought to treat machines. In all cases, only human beings have engaged in ethical reasoning. The time has come for adding an ethical dimension to at least some machines. Recognition of the ethical ramifications of behavior involving machines, as well as recent and potential developments in machine autonomy, necessitate this. In contrast to computer hacking, software property issues, privacy issues and other topics normally ascribed to computer ethics, machine ethics is concerned with the behavior of machines towards human users and other machines. Research in machine ethics is key to alleviating concerns with autonomous systems—it could be argued that the notion of autonomous machines without such a dimension is at the root of all fear concerning machine intelligence. Further, investigation of machine ethics could enable the discovery of problems with current ethical theories, advancing our thinking about Ethics." Machine ethics is sometimes referred to as machine morality, computational ethics or computational morality. A variety of perspectives of this nascent field can be found in the collected edition "Machine Ethics" that stems from the AAAI Fall 2005 Symposium on Machine Ethics. Some suggest that to ensure that AI-equipped machines (sometimes called "smart machines") will act ethically requires a new kind of AI. This AI would be able to monitor, supervise, and if need be, correct the first order AI. Political scientist Charles T. Rubin believes that AI can be neither designed nor guaranteed to be benevolent. He argues that "any sufficiently advanced benevolence may be indistinguishable from malevolence." Humans should not assume machines or robots would treat us favorably, because there is no a priori reason to believe that they would be sympathetic to our system of morality, which has evolved along with our particular biology (which AIs would not share). Hyper-intelligent software may not necessarily decide to support the continued existence of mankind, and would be extremely difficult to stop. This topic has also recently begun to be discussed in academic publications as a real source of risks to civilization, humans, and planet Earth. One proposal to deal with this is to ensure that the first generally intelligent AI is ' Friendly AI', and will then be able to control subsequently developed AIs. Some question whether this kind of check could really remain in place. Martin Ford, author of The Lights in the Tunnel: Automation, Accelerating Technology and the Economy of the Future , and others argue that specialized artificial intelligence applications, robotics and other forms of automation will ultimately result in significant unemployment as machines begin to match and exceed the capability of workers to perform most routine and repetitive jobs. Ford predicts that many knowledge-based occupations—and in particular entry level jobs—will be increasingly susceptible to automation via expert systems, machine learning  and other AI-enhanced applications. AI-based applications may also be used to amplify the capabilities of low-wage offshore workers, making it more feasible to outsource knowledge work. If an AI system replicates all key aspects of human intelligence, will that system also be sentient – will it have a mind which has conscious experiences ? This question is closely related to the philosophical problem as to the nature of human consciousness, generally referred to as the hard problem of consciousness. 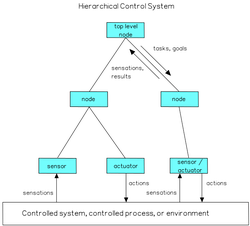 Computationalism is the position in the philosophy of mind that the human mind or the human brain (or both) is an information processing system and that thinking is a form of computing. Computationalism argues that the relationship between mind and body is similar or identical to the relationship between software and hardware and thus may be a solution to the mind-body problem. This philosophical position was inspired by the work of AI researchers and cognitive scientists in the 1960s and was originally proposed by philosophers Jerry Fodor and Hillary Putnam. Searle's strong AI hypothesis states that "The appropriately programmed computer with the right inputs and outputs would thereby have a mind in exactly the same sense human beings have minds." John Searle counters this assertion with his Chinese room argument, which asks us to look inside the computer and try to find where the "mind" might be. If research into Strong AI produced sufficiently intelligent software, it might be able to reprogram and improve itself. The improved software would be even better at improving itself, leading to recursive self-improvement. The new intelligence could thus increase exponentially and dramatically surpass humans. Science fiction writer Vernor Vinge named this scenario " singularity ". Technological singularity is when accelerating progress in technologies will cause a runaway effect wherein artificial intelligence will exceed human intellectual capacity and control, thus radically changing or even ending civilization. Because the capabilities of such an intelligence may be impossible to comprehend, the technological singularity is an occurrence beyond which events are unpredictable or even unfathomable. Robot designer Hans Moravec, cyberneticist Kevin Warwick and inventor Ray Kurzweil have predicted that humans and machines will merge in the future into cyborgs that are more capable and powerful than either. This idea, called transhumanism, which has roots in Aldous Huxley and Robert Ettinger, has been illustrated in fiction as well, for example in the manga Ghost in the Shell and the science-fiction series Dune . Edward Fredkin argues that "artificial intelligence is the next stage in evolution", an idea first proposed by Samuel Butler's " Darwin among the Machines " (1863), and expanded upon by George Dyson in his book of the same name in 1998. In his book Superintelligence , Nick Bostrom provides an argument that artificial intelligence will pose a threat to mankind. He argues that sufficiently intelligent AI, if it chooses actions based on achieving some goal, will exhibit convergent behavior such as acquiring resources or protecting itself from being shut down. If this AI's goals do not reflect humanity's - one example is an AI told to compute as many digits of pi as possible - it might harm humanity in order to acquire more resources or prevent itself from being shut down, ultimately to better achieve its goal. The implications of artificial intelligence have been a persistent theme in science fiction. Early stories typically revolved around intelligent robots. The word "robot" itself was coined by Karel Čapek in his 1921 play R.U.R. , the title standing for " Rossum's Universal Robots ". Later, the SF writer Isaac Asimov developed the Three Laws of Robotics which he subsequently explored in a long series of robot stories. These laws have since gained some traction in genuine AI research. Other influential fictional intelligences include HAL, the computer in charge of the spaceship in 2001: A Space Odyssey , released as both a film and a book in 1968 and written by Arthur C. Clarke. AI has since become firmly rooted in popular culture and is in many films, such as The Terminator (1984) and A.I. Artificial Intelligence (2001). 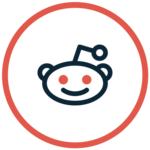 All information for Artificial intelligence's wiki comes from the below links. Any source is valid, including Twitter, Facebook, Instagram, and LinkedIn. Pictures, videos, biodata, and files relating to Artificial intelligence are also acceptable encyclopedic sources. "Why 2015 Was a Breakthrough Year in Artificial Intelligence"
"Why AI researchers like video games"
"Learn and apply fundamental machine learning concepts with the Crash Course or visit Learn with Google AI to explore the full library of training resources." "Artificial intelligence: Google's AlphaGo beats Go master Lee Se-dol"
"So you think you chose to read this article?" "Artificial Intelligence and Human Nature |`The New Atlantis"
"On 'Jeopardy!' Watson Win Is All but Trivial"
"SoundHound raises $75M to bring its voice-enabled AI everywhere"
"Predicting judicial decisions of the European Court of Human Rights: a Natural Language Processing perspective"
"After Win in China, AlphaGo's Designers Explore New AI"
"Microsoft Develops AI to Help Cancer Doctors Find the Right Treatments"
"Deep Neural Networks for Acoustic Modeling in Speech Recognition"
Google voice search: faster and more accurate. "artificial intelligence is a tool, not a threat"
"IBM's Watson gives proper diagnosis after doctors were stumped"
"The Economist Explains: Why firms are piling into artificial intelligence"
"The Promise of Artificial Intelligence Unfolds in Small Steps"
"Big Data: The next frontier for innovation, competition, and productivity"
"Artificial Intelligence and Human Nature"
"Microsoft's Bill Gates insists AI is a threat"
Robots Beat Humans in Trading Battle. "Machine Learning: A job killer?" "The Computational Theory of Mind"
"Content: Plug & Pray Film - Artificial Intelligence - Robots -"
"Artificial intelligence 'as good as cancer doctors'"
"Bill Gates on dangers of artificial intelligence: 'I don't understand why some people are not concerned'"
"Elon Musk: artificial intelligence is our biggest existential threat"
"Tech titans like Elon Musk are spending $1 billion to save you from terminators"
"Future Progress in Artificial Intelligence: A Poll Among Experts"
"Watch An Autonomous Robot Swarm Form 2D Starfishes"
"Is artificial intelligence really an existential threat to humanity?" "The case against killer robots, from a guy actually working on artificial intelligence"
"Will artificial intelligence destroy humanity? Here are 5 reasons not to worry." "The UK is about to Start Testing Self-Driving Truck Platoons"
"The mysterious artificial intelligence company Elon Musk invested in is developing game-changing smart computers"
"Musk-Backed Group Probes Risks Behind Artificial Intelligence"
"Elon Musk Is Donating $10M Of His Own Money To Artificial Intelligence Research"
"Stephen Hawking, Elon Musk, and Bill Gates Warn About Artificial Intelligence"
"Neural Networks and Deep Learning"
"CTO Corner: Artificial Intelligence Use in Financial Services - Financial Services Roundtable"
"Posthuman Rights: Dimensions of Transhuman Worlds"
"NY gets new boot camp for data scientists: It's free but harder to get into than Harvard"
"Thinking Machines: The Search for Artificial Intelligence"
"Stephen Hawking believes AI could be mankind's last accomplishment"
"Social media 'outstrips TV' as news source for young people"
"Virtual Personal Assistants & The Future Of Your Smartphone [Infographic]"
"World's First Self-Driving Semi-Truck Hits the Road"
"Theme 2: Good things lie ahead"
"Artificial consciousness: Utopia or real possibility?" "Are Autonomous Robots Your next Surgeons?" Other wiki pages related to Artificial intelligence.